The 500 Series is a Shinkansen-type electric multiple unit developed by JR West to compete with airline companies for customers going west-ward from Osaka. 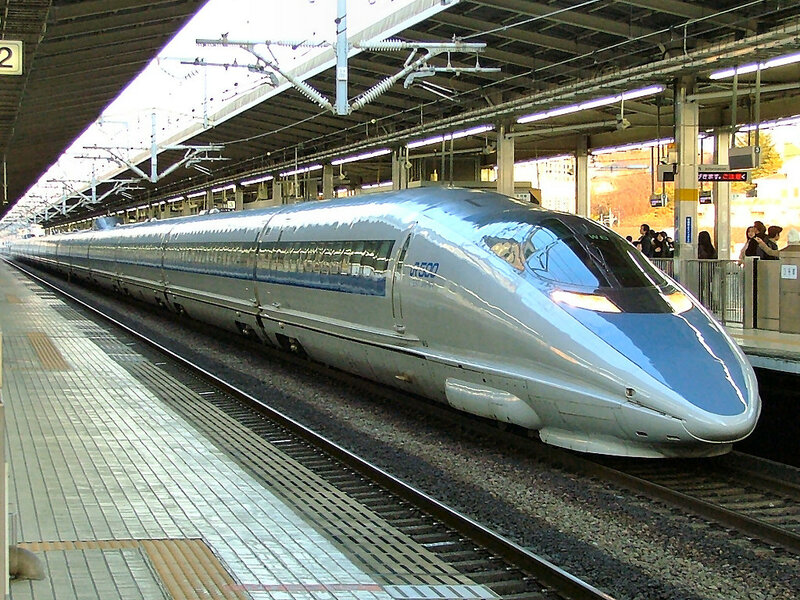 The Series 500 is possibly one of the most well known Shinkansen designs created since the original Series 0. A prototype known as WIN350 was tested from 1992 to 1995 to gather data about a Shinkansen even faster than the 300 Series developed by JR Tokai. Once testing was finished, the 500 Series was put into production. 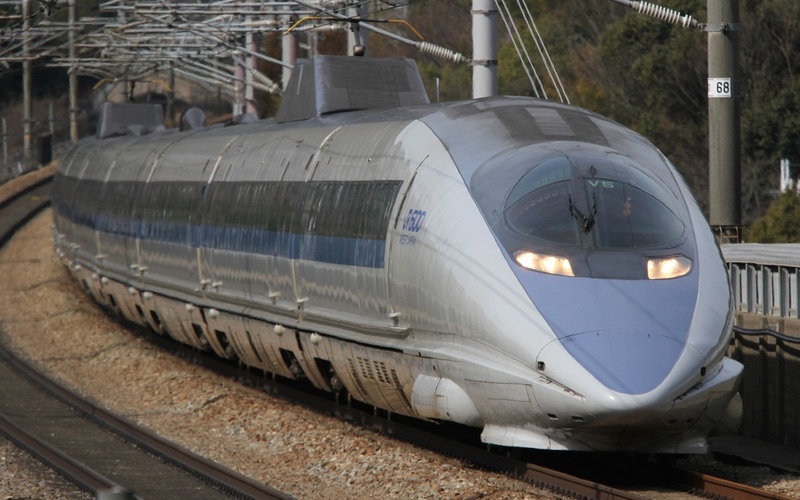 The 500 series' bullet shaped nose made it immediately distinguishable from any other Shinkansen and also was the first, and currently the only, Shinkansen not painted blue and white to run the Tokaido Shinkansen route. The 500 Series ended up being very expensive to mass produce and thus the 700 Series was put into production instead. Currently, the 500 Series does not operate the Tokaido Shinkansen route. It can currently be seen on the Sanyo Shinkansen route operated with eight instead of 16 cars. One reason the 500 Series was retired so quickly was because the seating arrangement is different compared to the 300 and 700 Series, making it somewhat difficult to operate.